Why come in and have a running screening? Running is a skill we learn from a very young age and is built into our DNA. It comes about from development of man, when a fight or flight response was required to overcome a danger. However, people participate in running now for both fitness and leisure, and like other leisure time activities such as golf and tennis, running skill varies and can be improved with coaching and training. 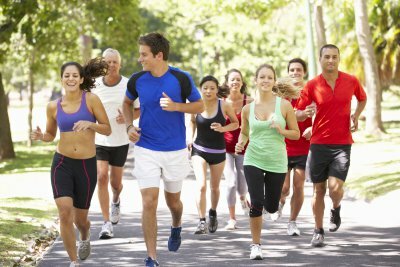 Research shows running injuries occur in up to 80% who participate each year, and a number of factors require consideration, including technique, strength and flexibility. Who can benefit from a running screening? Anyone, who is thinking about taking up running as an activity is likely to benefit from a screening and analysis to reduce their injury risk and ensure that running continues to be enjoyable. A running screening can benefit anyone from sporadic runners to high performing athletes. We can identify areas that can be limiting your performance and make adaptation to help you reach and exceed your personal best. What will the screening involve and how will it benefit my running? The screening involves an hour appointment. During this session we will have a look at how you move and identify any areas of which lack flexibility or which are weak – the presence of these impairments often lead to injuries during running. Following the screening, we will video your running technique on the treadmill or outside, allowing us to identify any modifications we can make to your technique, to also help minimise your risk of injury, and in some cases improve you performance. At the conclusion of the screening we will make recommendations and introduce some strength exercises to help make the adaptations to your running technique and also address any of variations we have found in the screening form. Do you have an injury preventing from what you love, running? The causes of running injury vary depending on both the specific injury and individual characteristics. Our expert team at Complete Sports Care will provide you with a thorough assessment to determine the most appropriate management plan. You will be provided with an optimal and progressive management plan consisting of running re-education (i.e. changing technique), education, exercise prescription and physiotherapy. Importantly, we complete a thorough running video analysis of each runner we treat to ensure we identify and correct any faulty movement patterns. In most runners we will also use the biomechanical analysis to facilitate running retraining (i.e. changing technique), a missing link in successfully managing many chronic running injuries.